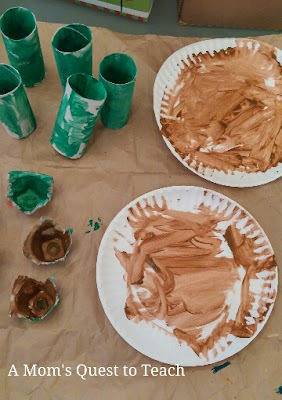 The green pieces are for another craft. 3. Trace child's hands onto the brown construction paper. 4. Draw and cut out the ears. 5. Glue the reindeer ears together. 7. Glue on the pom pom nose and eyes. 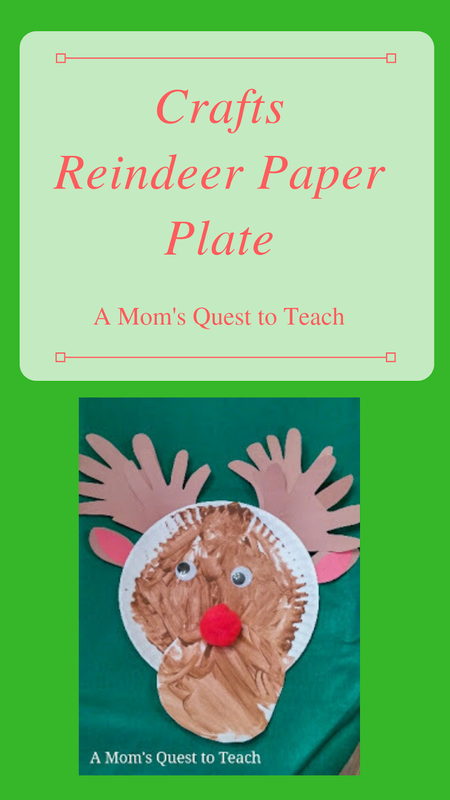 There are a lot of different reindeer paper plate and hand print crafts. Here are a few of my favorites. 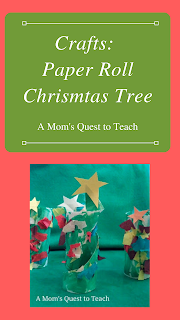 A Cupcake for the Teacher – On Teachers Pay Teachers, she has a Reindeer Games packet available for sale. 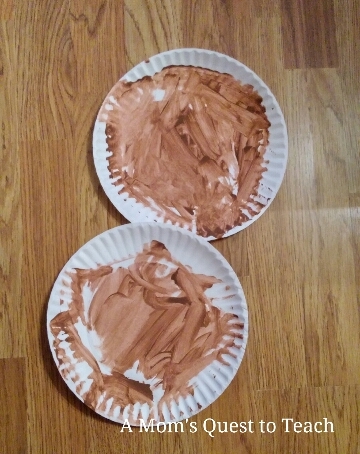 How Wee Learn – There are a variety of paper plate crafts provided with pictures and a link to the original post. 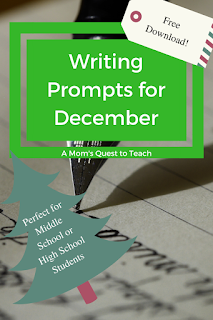 A great resource for last minute crafting ideas. 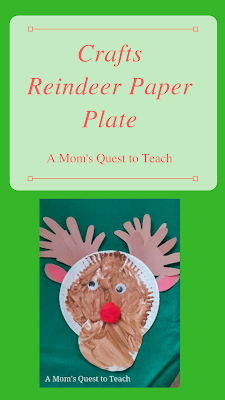 Education.com's Make a Paper Plate Reindeer – This is the original idea I was using as a guideline for my own craft. 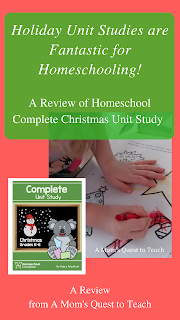 Education.com has a PDF file available for download as well as the instructions on their page for this craft. Or if you wish to still do a reindeer craft but forgo the paper plate, here is a cute toilet paper roll craft from The Resourceful Mama. 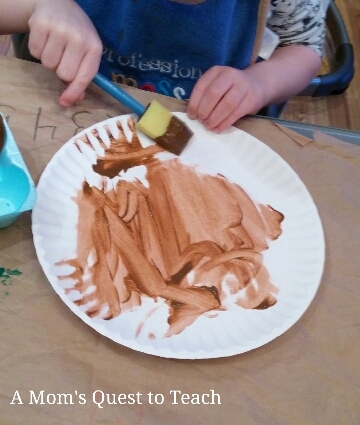 Here are few cute items to use for the craft, instead of this craft, and to complement this craft. 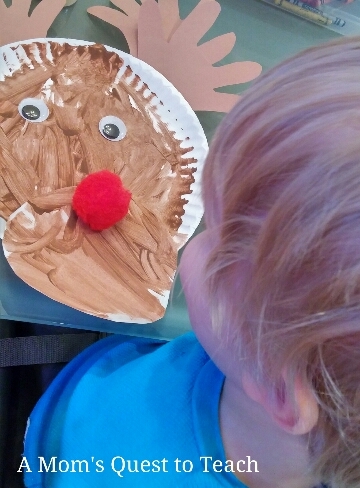 We have the Rudolph book and our two children love it. Especially when my husband reads it using voices from the television show.